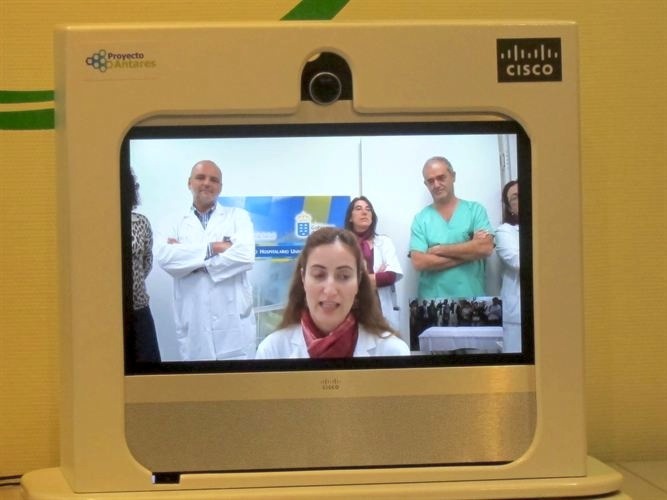 Medical Cisco Telepresence service has been tested successfully by more than one hundred of patients of Canary Islands La Palma and Tenerife University hospitals. Two Canaries hospitals, the general de La Palma and the Universitario de Tenerife, have launched a pilot project of medical Telepresence's Cisco Systems which have benefited so far more than 100 patients, who have not had to travel to attend the inquiry of their displacement, with the consequent cost savings for both parties in some islands with a complicated terrain and diets subsidized by the Government of the community. 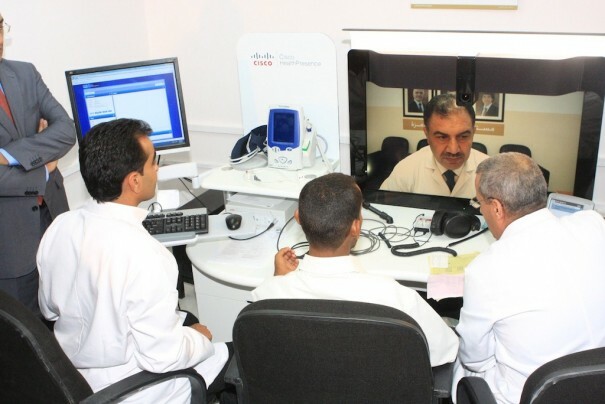 Telepresence system chosen has been Cisco HealthPresence Systems, with a pilot project initiated in these hospitals at the end of the month of February and that now has been as a success story, reports Reuters. So says the Director of the Canary Islands health service, Juana María Reyes, explaining that in 2012 the Canary Islands Government spent close to one million euros in fund transfers and diets of 10,000 patients and their companions"
Thanks to this system, hundreds of patients have been assessed in the neurosurgery unit and the unit of pain, comprising 20% of the total number of transfers that are made to the hospital of La Palma, and is used both for diagnosis and for monitoring of patient l. 90% of patients who have used the solution will not arise again to go in person to the hospital to attend a consultation. Cisco HealthPresence uses Internet as a platform to offer Telepresence medical, combining video terminals of high definition and high quality sound with the use of certain biomedical equipment of third parties such as high resolution camera, stethoscope, otolaryngology probe or vital signs monitor. Through standard interfaces and facilitating the transmission of clinical data, the solution also stores all the information in the electronic clinical history of the patient, and allows access to patient data in real time for medical consultation. 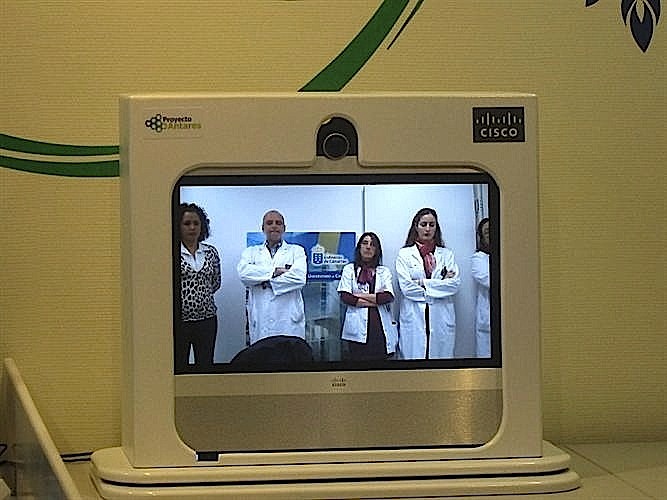 HealthPresence platform has been integrated with the Cisco Telepresence system to show and project information obtained through Cisco HealthPresence both Canary Islands Hospital, while medical Telepresence service can be integrated with any terminal of third party manufacturers supporting the standard SIP/H.323 and video with laptops, tablets or smartphones that use Cisco Jabber software.